Heya lovely person reading this.. In my last (or second last) Lip Look I apologised for not having posted the previous week as life just ran away with me and my Lip Look series was supposed to be a weekly blog series. Now I am on number 15 which 1) I think is incredible and 2) I have realized that having a blog series really messes with other posts because you have to keep pushing back other posts to make sure you include your series’ post AND all your other posts for the week AND by then you have a post for every day of the week and your “new release” post ends up being posted months after the product has been released and I am just not about that life 🙁 I would rather have three or four good quality and informative posts a week than have one shorter post every single day. So my Lip Look for the week is actually a duo which I have been wearing very frequently the past few weeks. 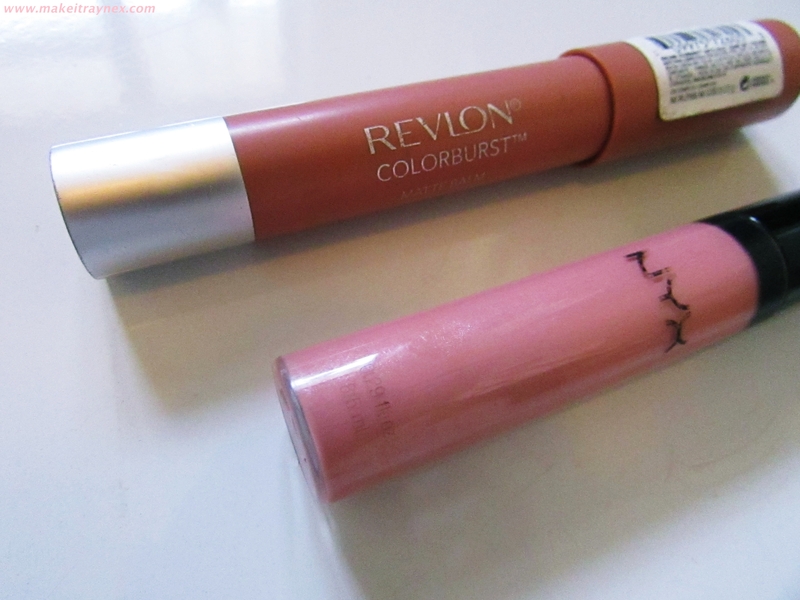 The Revlon Colourburst in 230 Complex and the NYX lipgloss. I have no idea what colour this lipgloss is as I received it in an Australian International Beauty Swap and we do not get these cheapy lipglosses here. It is just a NYX tube with no colour or code or anything. It is a gorgeous mix between a soft pink and peach colour. The staying power is also very impressive for a plain lipgloss; it lasted around one and a half to two hours before needing to reapply. What I love most about it is the consistency. 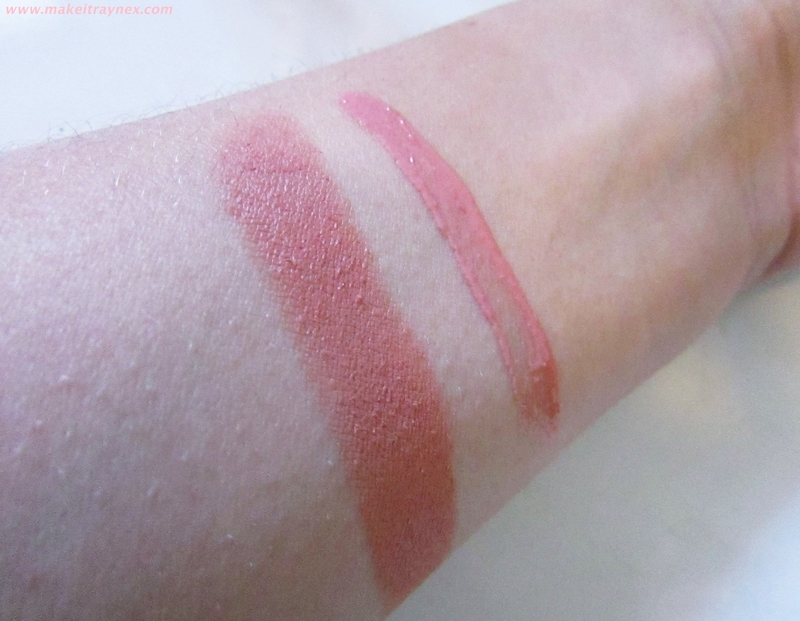 It has the creaminess of the Soft Matte Lip Creams but the sheerness of the Butter Glosses. All in all a perfect combo. The Revlon Colourburst in 230 Complex is one of those products that everyone has. They made such an impact in the beauty world when they were first released and now you can buy them in balms, lacquers, mattes and more. This colour is from the original collection and I was not the greatest fan just because I thought it was too matte for me, but if you apply a lipgloss like this one on top it is gorgeous. All in all I find this to be a very Spring inspired look but I have been wearing it at least three times a week these days 😛 I just love the softness of it and you can wear a very dark eye look with it. 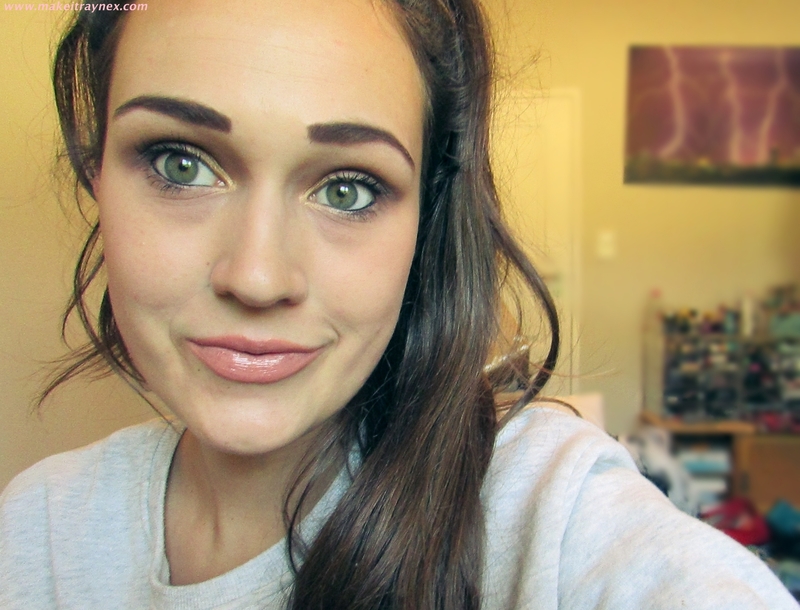 I hope you enjoyed my latest Lip Look post!